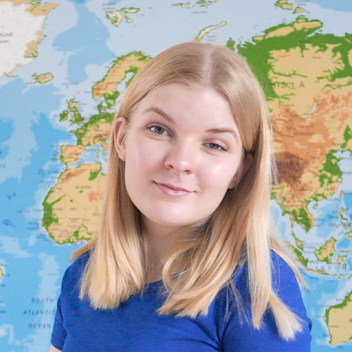 Bonjour, Hola, Hyvää päivää, Hello! How are you? I'm currently enjoying the beautiful weather and my holiday! For my birthday I bought this hoop from HoopItYourself online. 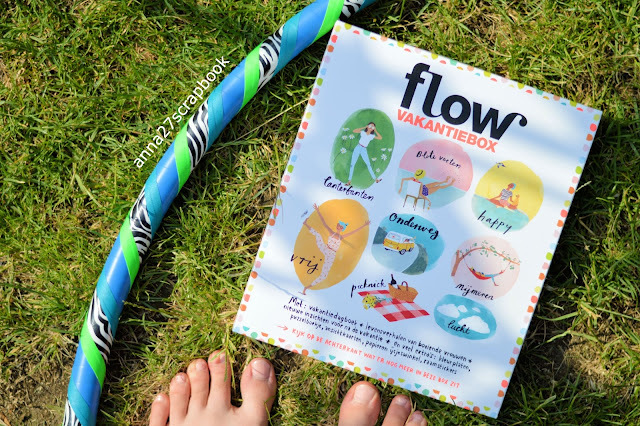 I love it so today I'm going to tell you more about it! I have the basic Zeebra. 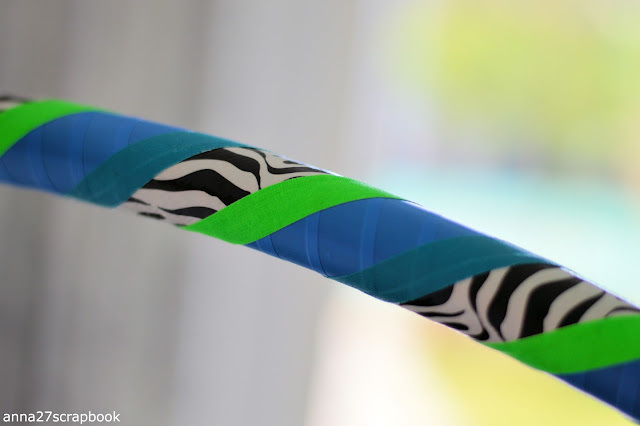 I mean what is more me than blue, green and zeebra? 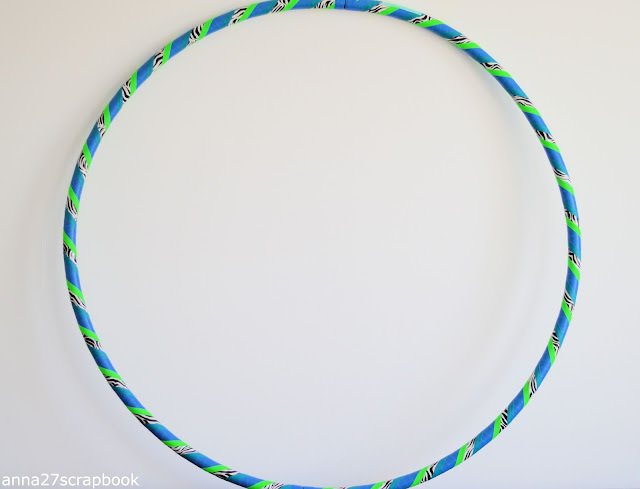 HoopItYourself has a lot of cute hoops. It was a little hard for me to decide, but I made the best choice. 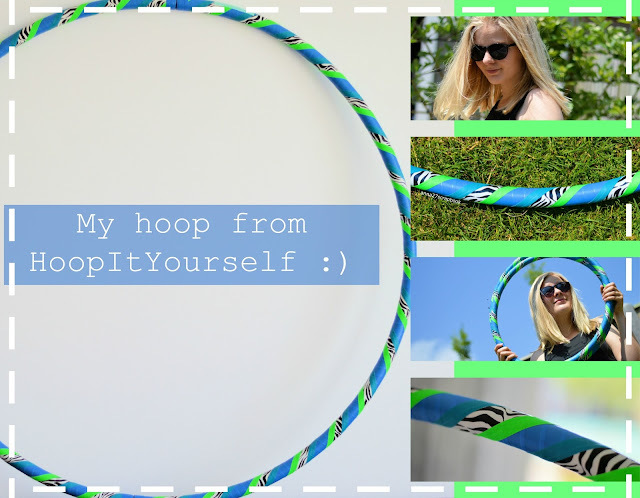 I knew HoopItYouself from Jennie, she has a really nice blog which I follow. 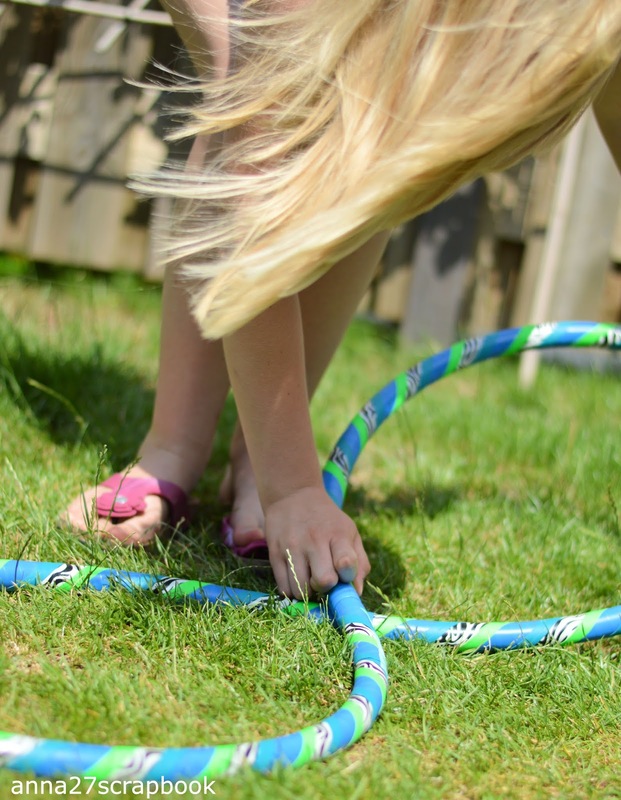 The hoop is 100 cm and is something like 600 grams. As a clumsy person I've scratched it one time. 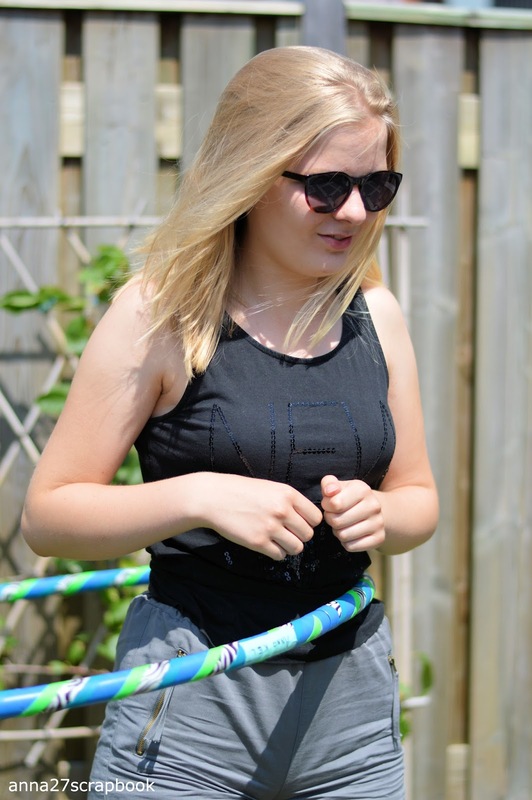 I was falling with the hoop on my arm. It scratched a little. There were a few 'holes' in the tape. But I don't mind. I fixed it with some tape I found at Hema. I put it over the scratch and wrote my name on it. Now I know it's mine haha! It looks so cute! And it's a great work-out too! It doesn't feel like it, so much fun. Every time I'm hooping I imagine myself hooping at the beach. I enjoy it very much. I just like to do it in a chill outfit like this. My t-shirt is always crawling a little up haha! Nice and 'small'. When I got the package with the hoop in it, I was a little shocked about the size haha! The man who brought my package was making fun of it too. 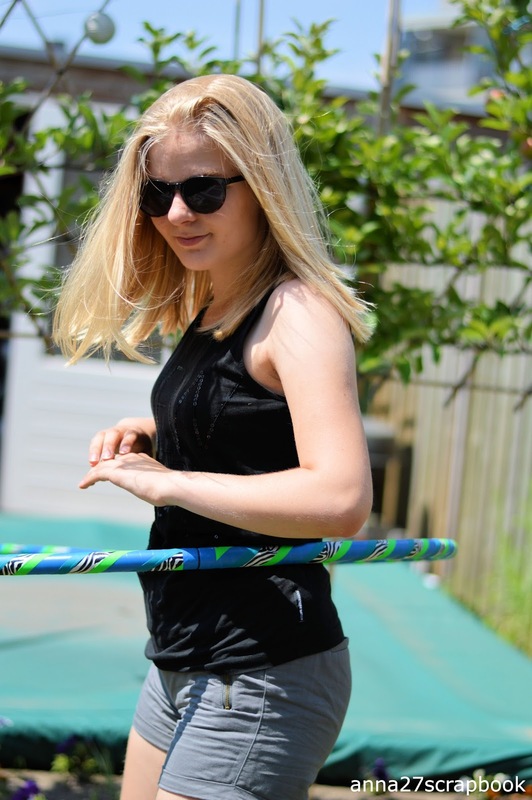 Yes, I'm happy with my hoop (if you couldn't yet;)). I've used it a lot already (in two weeks). I think it's so nice to work out with it. And my mother and sister can do it too! If you want to check out the hoopityourself website click here. 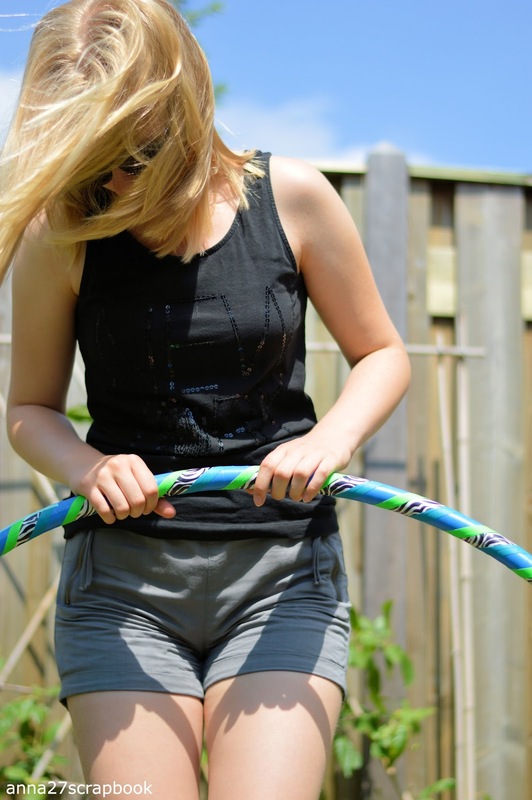 Hooping overall got me excited so much! I hope you liked this post! 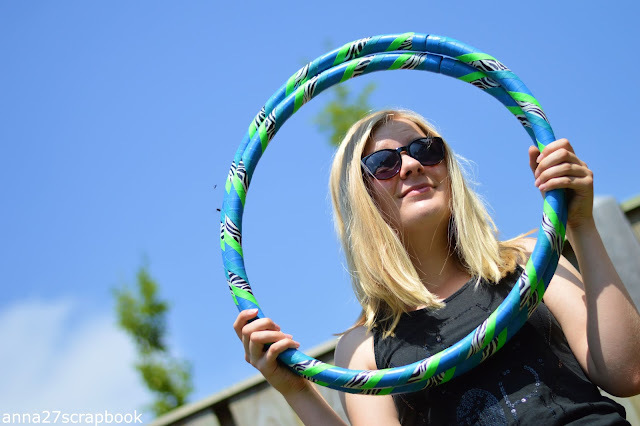 Let me know what you think about hooping!